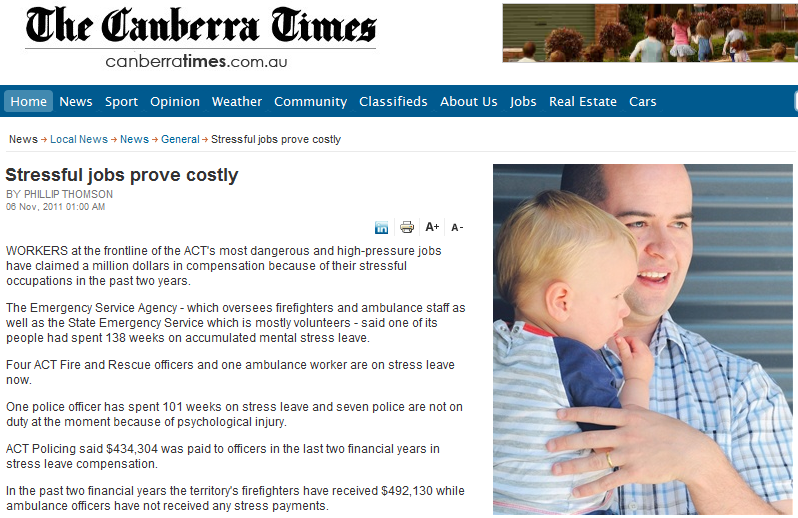 I was interviewed by a reporter from the Canberra Times, Phillip Thompson regarding my experience of being a ‘front line’ emergency service worker – particularly from an emergency nursing perspective. The interview focused on the stress related with the profession and the variety of available strategies to manage stress. The published article ‘Stressful jobs prove costly’ outlines the cost of stress related leave from emergency services. Additionally, the article discusses my contribution regarding coping strategies and comments regarding the benefit of debriefing.